With a career spanning more than a quarter-century, theater director Tim Hedgepeth has seen a lot. A Texas native and current San Antonio resident, he is the co-founder and artistic director of Allegro Stage Company, a small musical group dedicated to presentation of classic musicals. But he’s also one of the busiest stage professionals in the state, with about a half-dozen directing gigs in the last year alone. We spoke to Hedgepeth about his journey as a director, his advice for young theater professionals, and his pet peeves about actors. 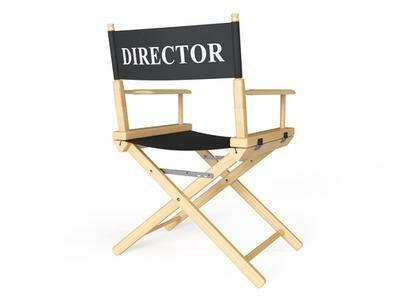 Do you remember the first thing you ever directed? What do you think of it now? Right out of grad school, I was hired to do a summer stock production of “Jerry’s Girls.” I loved that show; it was a happy experience. Audiences hated it. The headline for my first review as a paid director? “Hello, Dully.” I was mortified. Luckily, my mentor and teacher, Ed Amor, talked to me afterwards, walked me through the show and pointed out everything that worked, and everything that didn’t. Of course he was right on every count. It was then that I learned no matter how enjoyable the production process might be, you can’t fall in love with the show during rehearsals. It’s hard to be objective, and even harder at times to see the show that the audience will see. How do you translate your experience into advice for young directors? Find a stage manager who doesn’t want to be a director but wants to be a stage manager. And then hang on to him/her for every show you ever do. He/she will be your second pair of eyeballs, catch all the little things you might overlook or forget when reworking a scene, will make you take a break whether you want to or not, and get your actors out of rehearsal on time. Great stage managers are the key to a great production. There should be a Tony Award for stage managers. Hell, there should be Pulitzer Prizes for stage managers. What’s your favorite part of the directing process? Your least favorite? I enjoy the early concept meetings, at a table, brainstorming ideas with my designers. I especially like working with designers who, like me, find exhaustive research fun, not drudgery. I am not trained in lighting, or costume construction, etc., so I look to our design team to bring the show to life visually. I hate auditions and callbacks, for a number of reasons: it’s frustrating and disheartening when actors come to a call totally unprepared, or worse, when they come to a musical call and they cannot sing, have not prepared a song, have no clue how to work with the pianist. They are wasting everyone’s time. But what’s worse is having to reject people who I know really want to be cast in a certain production. San Antonio may be the seventh largest city in the country, but the theater community is tiny. Every time I cast a show, I have to reject several people who are my friends. What do you see as being the state of the craft of acting right now? I teach beginning acting, as well as direct actors of all ages around town. They all have one thing in common these days: not enough continuous training. It’s not enough to say, “Well, I got my degree at such-and-such conservatory.” That’s all very nice, but that doesn’t mean you no longer need to take classes. Your body and your voice are the only tools you have to create characters. They need to be constantly exercised, further trained, and challenged. You can always be better; you can always be stronger. Describe the Texas theater scene in three adjectives. I can only speak, as a working director, about San Antonio, [but the words are] Progressive, Safe, and Bumpkins. Progressive, because, surprisingly, Texas theater companies do not shy away from the more exciting and envelope-pushing plays that one might associate with more “liberal” [areas]. Bumpkins—I’m not talking about everyone, and I believe this can apply to any theater community in any part of the country, but many audience members—especially the younger generation—have no clue as to proper theater etiquette. We need to get Patti LuPone down here. Right now. Inspired by this post? Check out our Texas audition listings!